HIGHLAND PARK, Mich. (WXYZ) — When you place an order for delivery you want the food to get to you fresh and fast. However, Tuesday night a group of colleagues received a delivery from a Jet’s Pizza in Hamtramck. 7 Action News spoke with one of the customers who posted the unacceptable behavior situation on social media for all to see. "It becomes a hurtful thing. It’s like you have no clue what you’re judging me on. Don’t judge! Stop the hate!," he says strongly. 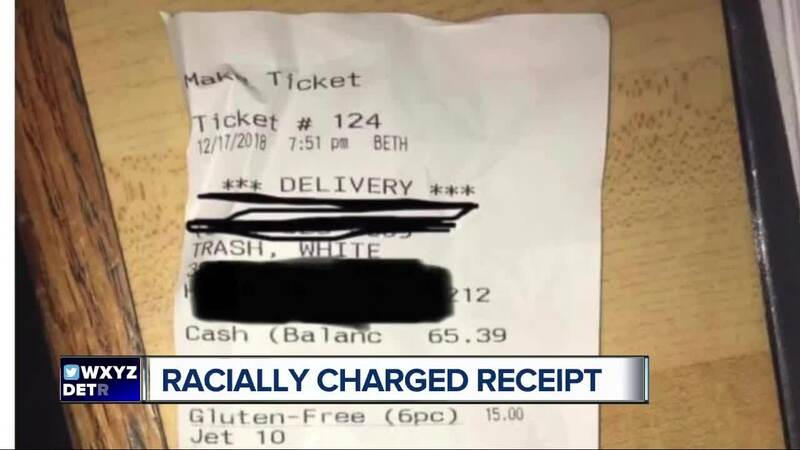 We’re told the Jet’s will refund the money to the customers who received the hateful receipt and offer them a store credit as well.